I posted a request to purchase 2 x2017 geocoins but neglected to ask for payment details to be sent to me on my email. I would use Paypal if that was ok.
I’m sorry Brian, I didn’t see a notification for yesterday’s comment. No further moderation is necessary – it’s only for the first comment. Where did you post a request for 2 x 2017 geocoins? You can use paypal, that is not a problem. I thought I had added it to your posts, obviously I was mistaken. How do I go about purchasing these 2017 geocoins please? I am new to geocaching, it’s really my wife and daughter who are heavily involved. 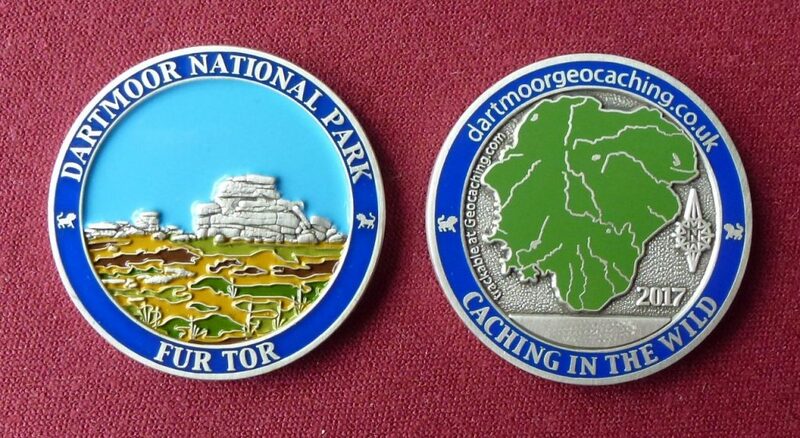 Hi, is there any Dartmoor geocoin available for sale? Yes there are, where are you please? Please can I order 1 of the 2017 geocoins? Yes of course, I have sent you a PayPal request. Hi, can I have 2 please? One for the race and one for my collection. Thanks. Warren. Can I order one as well please? Could you send the payment link to jondand@hotmail.co.uk though? Can I put in an order for one of the coins please. If you need email address for the PP request then let me know. Many thanks Ady, I have sent you a pp request. Certainly – I will send you a PP Request – Many thanks. Please can I order one of the 2017 Dartmoor coins please, I did also email you my request. Previous Previous post: Caching with Cachly on Dartmoor with an iPhone!